No doubt, while looking for TV stands for children’s rooms it is only obvious that colourful, playful designs are the best ones for a kid’s room. Sure, you will have to bear your current room colour palette in mind. The easiest idea is to get a stand that would feature the same shade that already dominates in your room. Or, you might want to explore a contrasting model to give the room an even more playful look. 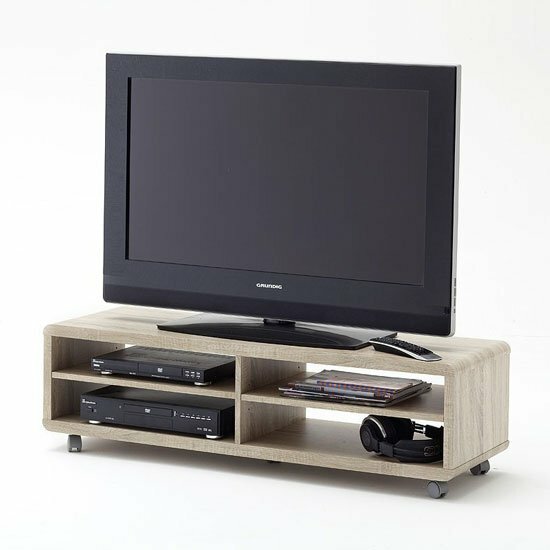 Another suggestion on TV stands for children’s room is to go for a thematic look. If, for example, there is a racing car bed in the room, you might want to decorate a TV stand with toy wheels, trophy cups, and other racing related trinkets. In a girl’s room, the approach to choosing accessories will be quite the same — even though the details will surely be different. 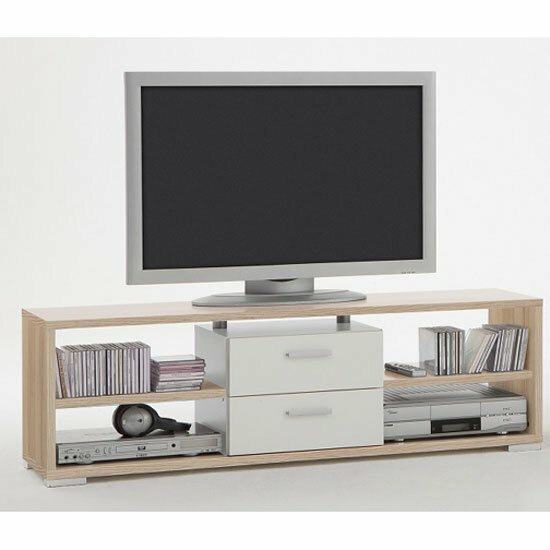 No doubt, storage capacity is not one of the truly essential features in TV stands for children’s rooms. Still, a piece with extra storage will always prove a useful addition for a child’s room. At the very least, you will get an extra toy storage unit for a room. Durability is important absolutely for any furniture piece, yet it really becomes of the essence when you are looking for children’s furniture. Do not forget that kids are not the most cautious furniture users. And, make no mistake, if the stand will feature a playful, toy like design, the kid will toy with it. In other words, do not hope that the cheapest, the most fragile unit will last long enough. If you are working on your kid’s room decoration from ground zero, try to make your thematic room atmosphere complete by adding a couple of murals. Paint your kid’s favourite cartoon or comics characters next to the TV, or simply go for multicoloured walls. 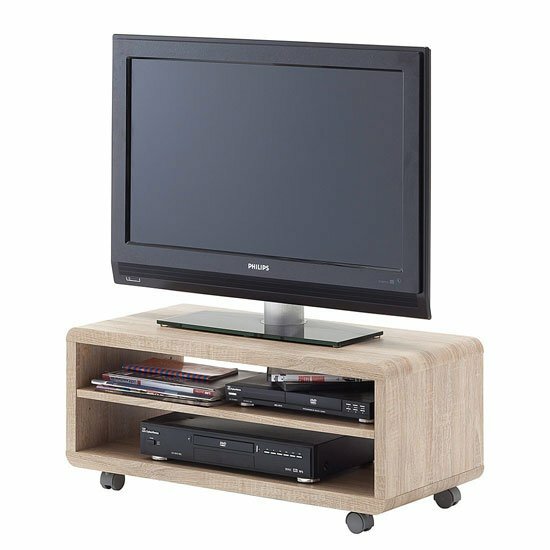 Finally, note that it is possible to find plenty of TV stands for children’s rooms in general furniture stores. Here, the trick is to start searching at large and, preferably, local stores. They usually offer better product selection and quicker delivery time. In the UK, give Furniture in Fashion a try. This is one of the most respectable platforms in the kingdom, offering only quality products from the leading local and European manufacturers. And, if would like to personally ensure that the piece you buy for your kid’s room is of the highest quality possible, feel free to check out any unit in a store showroom in Farnworth.